Another electric vehicle publicity stunt? Perhaps. A team of Driver’s are planning to take the Ford Focus Electric from New York Auto Show to Los Angeles, recharging somewhere around 50 times along the way. Because the 2012 Ford Focus Electric has a 6.6 kilowatt onboard charger, it takes about half the time to charge that the Nissan Leaf (or the Chevy Volt if it had a similar size battery pack) would take to charge. The Ford Focus Electric road trip will pass through Pittsburgh, Indianapolis, St. Louis,, city, Amarillo, Albuquerque, Flagstaff and use mostly secondary roads to make the best use of the battery. the Ford focus electric will mostly be charged at public and commercial charging stations but they will also use crowd sourced chargers from readers andÂ supporters who have a 240-volt, 40 amp outlet where they can spend 2 to 4 hours recharging the Ford Focus Electric’s battery pack. 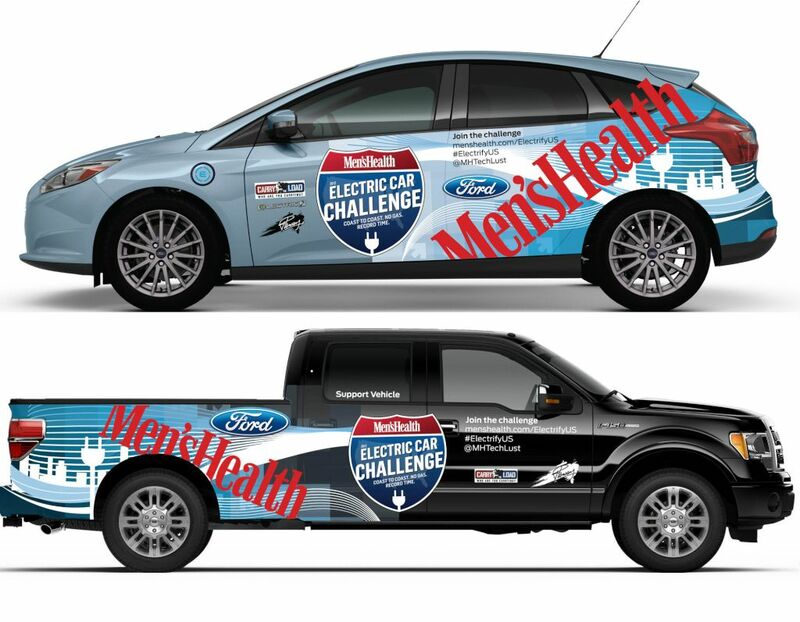 The Ford Focus Electric tour is sponsored by Men’s Health Magazine. The Ford Focus Electric will leave Manhattan on April 11 and the team hopes to arrive in LA on Earth Day, which is April 22nd. A Ford F150 support vehicle will assist the electric vehicle challenge, and the team assures us the carbon emissions will be offset. The F150 will be used primarily to transport drivers ahead of the Ford Focus Electric to ensure that all drivers are properly rested before their turn to drive. The 2012 Electric Car challenge raises money for Carry the Load, which is a foundation that supports the families of US soldiers have been killed in combat. I have not been an advocate of electric vehicles. I have been driving a VW TDI diesel since 1995 which gets 42 mpg city and 50 mpg highway. My mileage for the last 12.8 gallons of fuel was 596 miles which is about 46 mpg. I do like the Ford Focus, and I like that Ford did not accept any bailout with my tax dollars. I support Ford for that reason and I support the Ford Focus Electric. If I ever buy electric I will buy Ford.